Drive towards Tybee Island via US 80 east. You will pass Fort Pulaski’s entrance on the left. The next bridge is Lazaretto Creek bridge. Drive over the bridge and at the bottom of the bridge turn right IMMEDIATELY before the “Welcome to Tybee Island sign“. 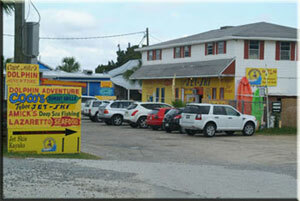 Drive to the end of the road, look and turn right, you will see our main office, Tybee Jet Ski & Watersports. Drive towards Savannah via US 80 west. Before you go over the last bridge leaving the island, at the base of the bridge, turn left IMMEDIATELY. Do not go over the bridge!!!! 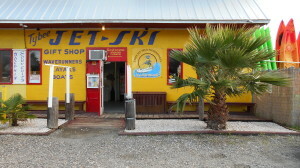 Drive to the end of the road, look and turn right, you will see our main office, Tybee Jet Ski & Watersports. 1. Lazaretto Creek Marina — Main office, kayak dealership, kayak tours, jet ski & kayak adventures from our dock located on the water. The Cockspur/Dolphin Bay and the High Tide Driftwood Beach Tour leaves from this location. 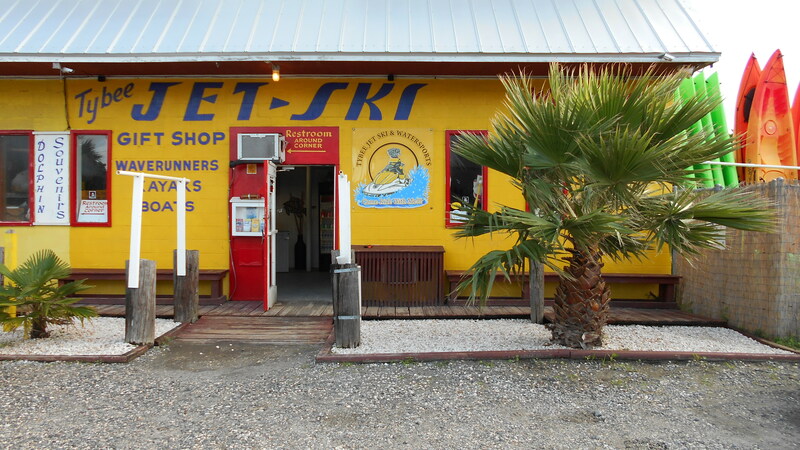 Also located and Lazaretto Creek Marina, One Stop for Fun, you can find an amazing dolphin tour at Captain Mike’s Dolphin Adventure and fresh seafood at Lazaretto Creek Seafood Market and of course jet skiing and kayaking. 2. Alley 3 kayak launch — The Little Tybee Tour leaves from this location. This location has no office, therefore all activities must be arrange from the main office. Drive towards Tybee Island via US 80 east. You drive US 80 east until it comes to an end. Turn right on Chatham Avenue, continue straight for about 1 mile. You will pass the back river fishing pier on the left and the next street to your left is Alley 3 kayak launch. Drive on Butler Street which is US 80. You drive US 80 east until it comes to an end. Turn right on Chatham Avenue, continue straight for about 1 mile. You will pass the back river fishing pier on the left and the next street to your left is Alley 3 kayak launch.